The third biggest island on the western base of the Mediterranean Sea is&nbsp;Corsica, 180 km from the mainland, 80km from the Italian coast and only 12km from Sardinia. Bonaficio is the most scenic town of the island. Many tourists go on pilgrimage to this island every year. The harbor stretches alongside a 100km long bay. The bay is separated from the sea by a 60m high cliff. Its strategic importance is further enhanced by the citadel built on the cliff and the narrow entrance of the bay. 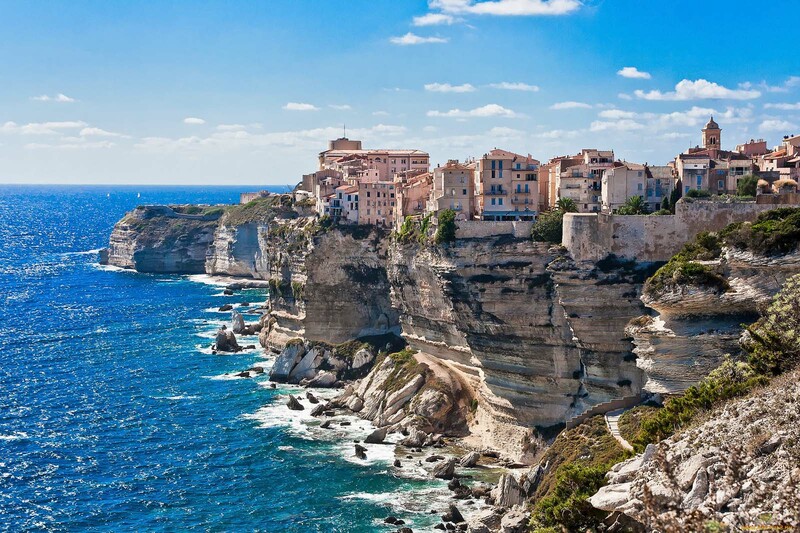 On Corsica you will find countless beaches, preserved ecological areas and splendid mountain getaways. The climate of the region is the habitat of forestry filled with a diversity of bird species. The Scandola Nature Reserve is a UNESCO World Heritage site. There are a number of animals facing extinction that live southerly in the snow capped mountains, such as the mountain sheep that goes by the name &ldquo;mouflon&rdquo;. &nbsp; All necessary information Where you surf Corsica, Mediterranean Sea With whom Women, men and children of all ages Embarkation and disembarkation Ajaccio Experience required? All teams will be coordinated by a skipper When it takes place From July to September Cost of participation&nbsp;&nbsp;&nbsp;&nbsp;&nbsp;&nbsp; From &euro; 1205,00 per person in a couple per week &nbsp; The Yacht Your cruise will be on board of a magnificent Poncin 82, a 24 meters catamaran with 8 double cabins, each with its own private bathroom. The yacht is equipped with air conditioning, watermaker and generator, for the maximum comfort. The professional crew will include a skipper, hostess and cook; allowing you to conquer the endless opportunities in paradise, take care of the provisioning, create delicious meals and ensure your on board experience will be memorable. &nbsp; Day 1 Embarkation will take place in the late afternoon in Ajaccio. We depart at around pm en route to Sainte Barbe located in Ajaccio bay. Dinner will be served on board and the night will be spent at anchor. Day 2 Breakfast will be served in the morning and afterwards the sails will be set either towards Sagone or Carg&egrave;se, weather permitting. Sagone is a small fishing town is located remotely at a bay with a long stretching fine white sandy beach. 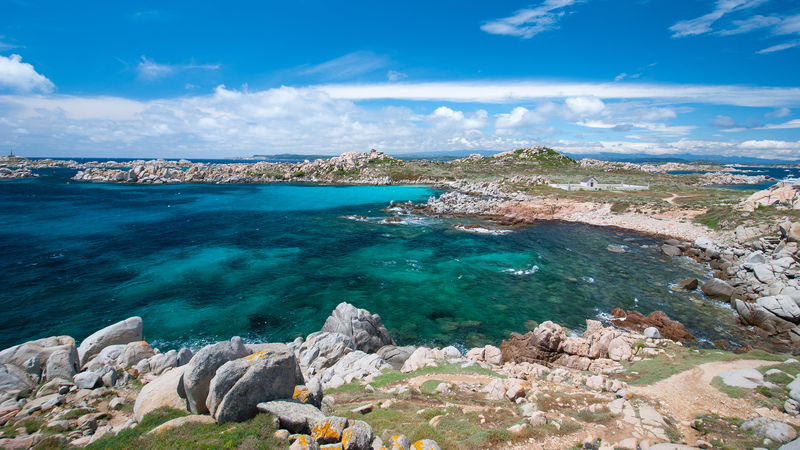 Not too far away is Carg&egrave;se, a popular spot for camping in the western part of Corsica. The history of the town is marked by Greek colonization. Lunch will be served on board. We encourage you to participate in water sport activities, relax at the beach or spend some time in the historic town of Carg&egrave;se. Day 3 Breakfast will be served on board, afterwards we will sail along the coast until we reach Cala di Palu where we will moor. We are having lunch at the Swimming Pool, there will be ample time for swimming, snorkelling or kayaking. After we have had lunch, the journey continues to Les Calanques de Piana, be prepared to see a multitude of colourful rocks that shape into different forms, some observers have likened them to animals. We sail to the Gulf of Porto, a classified World Heritage site by UNESCO and continue towards the Capo Cenino. Eventually we reach the Gulf of Girolata, an area rich in Genoese history and its fishing culture. We will moor&nbsp;at night in Girolata creek. Day 4 Once we have had breakfast, we will embark towards the Scandola Natural Reserve. It is important to note that this protected natural environment is definitely the geological highlight on the island. We will moor at Scandola Natural Reserve. Here you can snorkel among the many species of fish. We strongly recommend a swim in these excellent conditions. After lunch, we leave to Calvi, the town that proclaims to have enticed Christopher Columbus&rsquo;s soul indefinitely. There are a number of bars and restaurants, do not miss out a chance to go on a short walk to the stunning citadel. At night we will moor at the marina. Day 5 You can visit Calvi after breakfast before we leave for the Gulf of La Revellata. This is a great opportunity to go diving, kayaking, snorkelling and swimming. Lunch will be served on board. Afterwards we will begin to sail en route to Girolata. 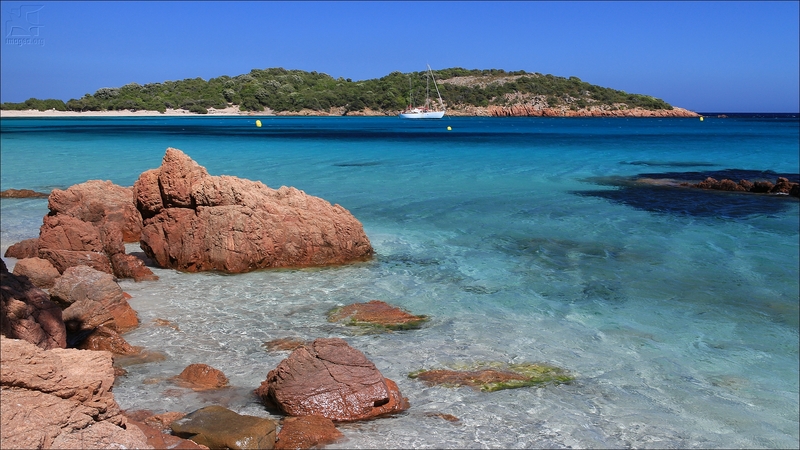 Along this cruise you will realise the change in the scenery, especially the constant bright red granite. We are heading to the Natural Reserve of Scandola as well as the spectacular panoramic views along the coast. Girolata is a village well known for its fishing culture, yet the island remains unpopulated and cannot be reached via road. Again here the bright red granite is a reoccurring part of the scenery typical of this area. Day 6 We arrive at the center of the UNESCO heritage site in Capo Rosso. During our initial trip to this area, we did not explore some spots, however this time around we will visit the spots that we are yet to discover. We head back to Cargese for swimming, relaxing, water sports and where we will moor for the night. &nbsp; Day 7 After breakfast we start sailing towards Sagone, where we will moor for lunch. We continue to Ajaccio, here we will spend the day in the city. You will have an opportunity to either explore the city, go shopping or sit at a trendy caf&eacute;. Day 8 Disembarkation at 08h00 * The programme is indicative and may undergo some changes due to adverse weather.&nbsp; &nbsp; &nbsp; Flights You can purchase your own flights or contact&nbsp;Sailogy.com to&nbsp;help you select&nbsp;the most convenient flight connections. Availability and prices will be checked at the time of the request. &nbsp; Participation fees (2016) Period Price per person in a couple Price per person single From 02/07 till 09/07 1375 &euro; 2750 &euro; From 23/07 till 30/07 1440 &euro; 2880 &euro; From 13/08 till 20/08 1805 &euro;&nbsp; 3610 &euro; From 03/09 till 10/09 1205 &euro; 2410 &euro; ​ The price includes: Accomodation in double air-conditioned standard or superior cabin with private bathroom Full board (breakfast, lunch, dinner) Service of the crew: 3 persons (Captain, steward/cook, deckhand) 2 sets of linen, bath towels and beach towels per person per week Consumables for the yacht (diesel, fuel and water) Insurance for the yacht and the passengers Water sports on board (snorkelling equipment and sea kayak) &nbsp; The price does not include: Airfares Transfers airport-base-airport (optional) Soft and alcoholic beverages Cash Box (mandatory): 290 &euro; per person per cruise, payable on spot upon arrival &nbsp; Payment methods: In order to guarantee your cabin charter, we require a&nbsp;50% advance booking of the participation fee. The outstanding balance must be paid off 45 days prior to the departure date. The third biggest island on the western base of the Mediterranean Sea is Corsica, 180 km from the mainland, 80km from the Italian coast and only 12km from Sardinia. Bonaficio is the most scenic town of the island. Many tourists go on pilgrimage to this island every year. The harbor stretches alongside a 100km long bay. The bay is separated from the sea by a 60m high cliff. Its strategic importance is further enhanced by the citadel built on the cliff and the narrow entrance of the bay. 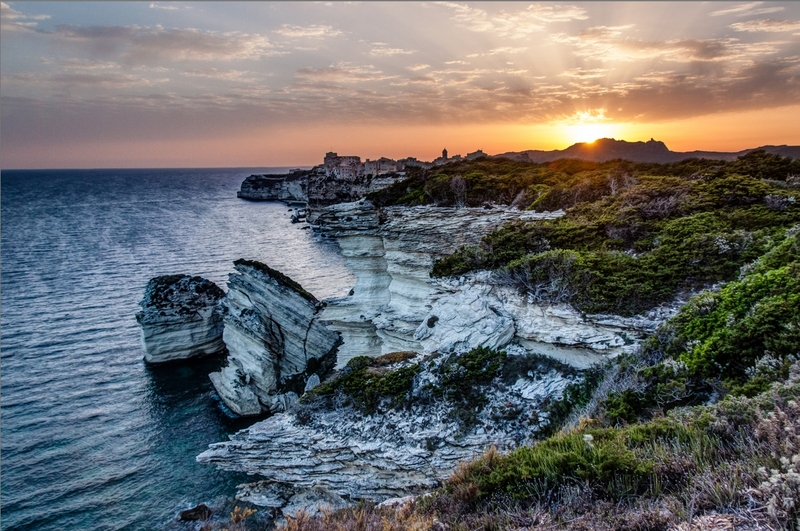 On Corsica you will find countless beaches, preserved ecological areas and splendid mountain getaways. The climate of the region is the habitat of forestry filled with a diversity of bird species. The Scandola Nature Reserve is a UNESCO World Heritage site. There are a number of animals facing extinction that live southerly in the snow capped mountains, such as the mountain sheep that goes by the name “mouflon”. Your cruise will be on board of a magnificent Poncin 82, a 24 meters catamaran with 8 double cabins, each with its own private bathroom. The professional crew will include a skipper, hostess and cook; allowing you to conquer the endless opportunities in paradise, take care of the provisioning, create delicious meals and ensure your on board experience will be memorable. Embarkation will take place in the late afternoon in Ajaccio. We depart at around pm en route to Sainte Barbe located in Ajaccio bay. Dinner will be served on board and the night will be spent at anchor. Breakfast will be served in the morning and afterwards the sails will be set either towards Sagone or Cargèse, weather permitting. Sagone is a small fishing town is located remotely at a bay with a long stretching fine white sandy beach. Not too far away is Cargèse, a popular spot for camping in the western part of Corsica. The history of the town is marked by Greek colonization. Lunch will be served on board. We encourage you to participate in water sport activities, relax at the beach or spend some time in the historic town of Cargèse. Breakfast will be served on board, afterwards we will sail along the coast until we reach Cala di Palu where we will moor. We are having lunch at the Swimming Pool, there will be ample time for swimming, snorkelling or kayaking. After we have had lunch, the journey continues to Les Calanques de Piana, be prepared to see a multitude of colourful rocks that shape into different forms, some observers have likened them to animals. We sail to the Gulf of Porto, a classified World Heritage site by UNESCO and continue towards the Capo Cenino. Eventually we reach the Gulf of Girolata, an area rich in Genoese history and its fishing culture. We will moor at night in Girolata creek. Once we have had breakfast, we will embark towards the Scandola Natural Reserve. It is important to note that this protected natural environment is definitely the geological highlight on the island. We will moor at Scandola Natural Reserve. Here you can snorkel among the many species of fish. We strongly recommend a swim in these excellent conditions. After lunch, we leave to Calvi, the town that proclaims to have enticed Christopher Columbus’s soul indefinitely. There are a number of bars and restaurants, do not miss out a chance to go on a short walk to the stunning citadel. At night we will moor at the marina. You can visit Calvi after breakfast before we leave for the Gulf of La Revellata. This is a great opportunity to go diving, kayaking, snorkelling and swimming. Lunch will be served on board. Afterwards we will begin to sail en route to Girolata. Along this cruise you will realise the change in the scenery, especially the constant bright red granite. We are heading to the Natural Reserve of Scandola as well as the spectacular panoramic views along the coast. Girolata is a village well known for its fishing culture, yet the island remains unpopulated and cannot be reached via road. Again here the bright red granite is a reoccurring part of the scenery typical of this area. We arrive at the center of the UNESCO heritage site in Capo Rosso. During our initial trip to this area, we did not explore some spots, however this time around we will visit the spots that we are yet to discover. We head back to Cargese for swimming, relaxing, water sports and where we will moor for the night. After breakfast we start sailing towards Sagone, where we will moor for lunch. We continue to Ajaccio, here we will spend the day in the city. You will have an opportunity to either explore the city, go shopping or sit at a trendy café.